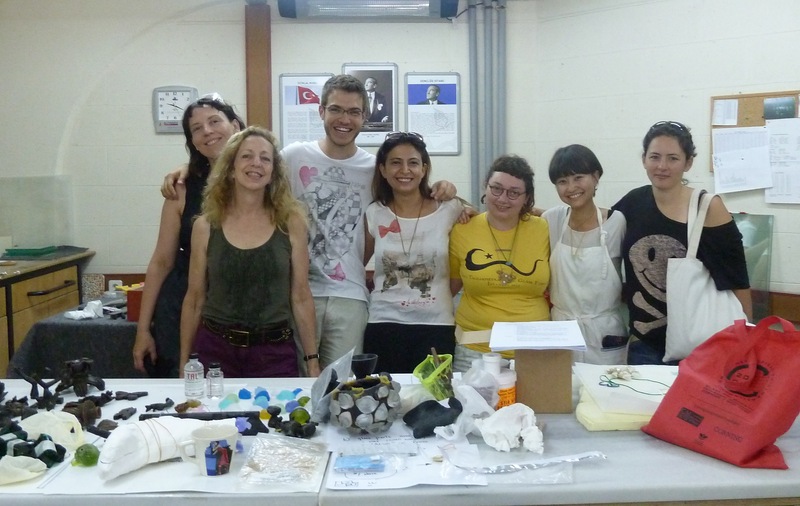 Anna Boothe’s Kilncasting class in Turkey- a happy hardworking group from Turkey, the US, and Japan! Everyone in the group was knowledgeable about ceramics and was already an artist, so it was a very strong team.By the end of the two weeks it seemed like most people were rushing around busily with multiple projects at various stages of the process (modelling, casting, firing, assembling). Each day we would have breakfast at 8 am and generally work together until about 10 at night, with some nice swim breaks and walks into the tiny town. The studio is out in the countryside, so it’s pretty much like “art camp”. Anna and I had a great time working together, and we hope to plan some more classes in the US and Europe in coming years.